Mukul G. Asher is Professorial Fellow, Lee Kuan Yew School of Public Policy at the National University of Singapore. He specialises in social security and public financial management issues in Asia. He has published widely in national and international journals, and authored or edited more than fifteen books. He is on the Editorial Board of several journals, including the Journal of the Economics of Ageing and Poverty & Public Policy. He has been a consultant to multilateral organisations such as the IMF, The World Bank, Asian Development Bank, and the World Health Organization. He has led Executive Training Programs for officials of several countries, including Indonesia, India, Sri Lanka, and Kazakhstan. He served as Chairman of the 5th State Finance Commission of Haryana State in India from May 2016 to September 2017. Fauziah Zen is Senior Economist at the Economic Research Institute for ASEAN and East Asia (ERIA). She is also a faculty member at the Faculty of Economics and Business, University of Indonesia, and a visiting professor at Hitotsubashi University, Japan. She has been working with the governments of East Asia in the fields of public finance, infrastructure and connectivity, disaster management, and social protection. Astrid Dita is an independent researcher working on issues related to public finance, fiscal decentralisation, infrastructure, and social protection in Indonesia. She is consultant to various international organisations such as Asian Development Bank, World Bank, and AusAID. She obtained her Masters in Economics from University of Indonesia. ERIA was established in 2008 with the objective of contributing intellectually to economic development of the East Asia region with a special focus on the ASEAN. ERIA’s current research is centered around three broad themes, deepening integration, narrowing development gaps, and sustainable development. 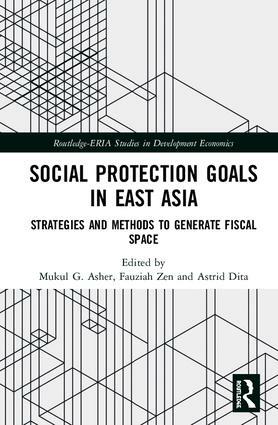 The book series promotes policy discussions and deepens understanding of the economic issues in East Asia, the world fastest growing region.